1. Electric saving:280kwH power can be saved for 1 ton stone paper production compared with the traditional fiber paper production . 2. 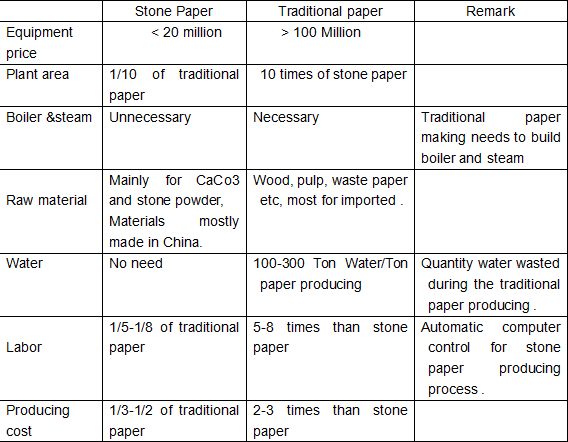 Water saving:The stone paper production course actually is modification working course. Small quantity cooling water is recycled during this period. So, much water consumption is saved. 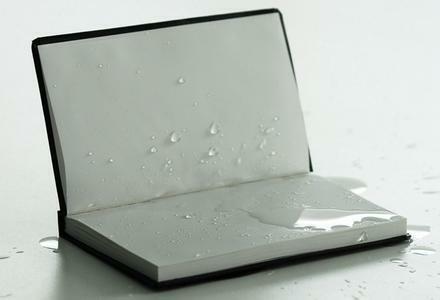 Compared with the traditional fiber paper , 110-130 ton fresh water can be saved for 1 ton stone paper producing. It is a special contribution to relax the nervous water resource situation. 3. 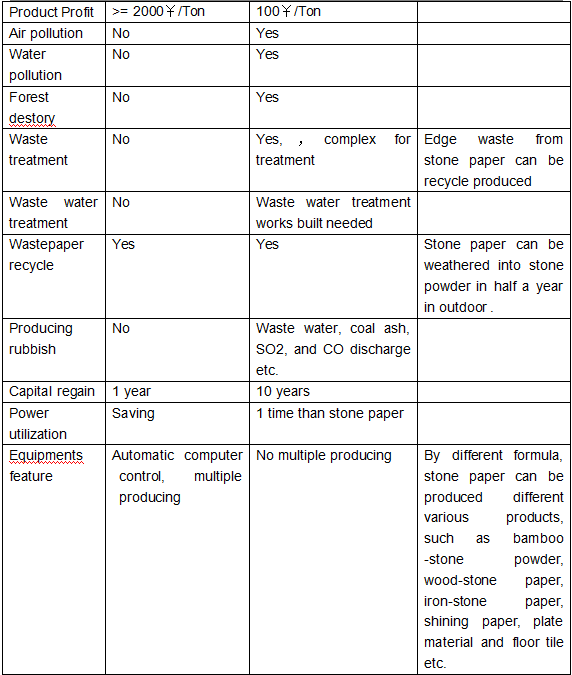 Working plant saving:Stone paper production is a course of no-water, no-steam, no-wood pulp . Stone powder ,resin and small quantity additives as its raw materials. 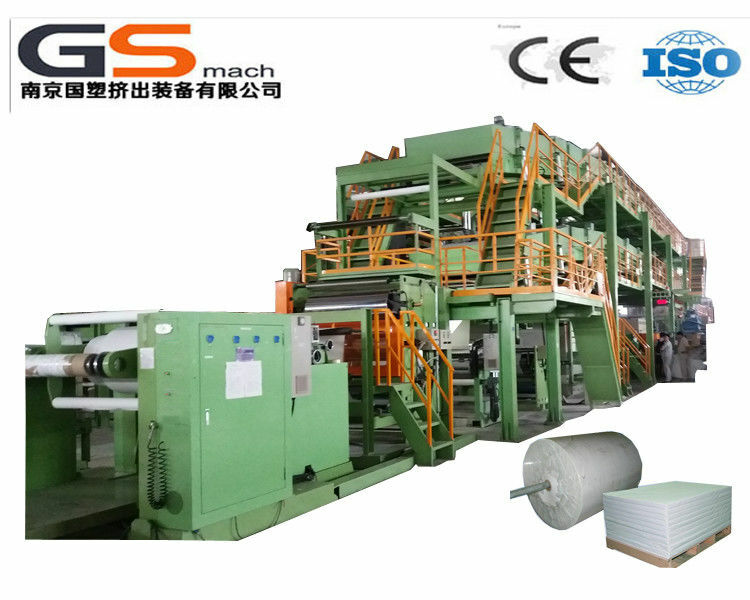 It is very different from the traditional paper making plant which needs heavy equipment, large storage space for woods and other plant fiber materials. Working area is only 1/10 of the traditional paper making plant. 4. Environment pollution reduction:Much waste water discharge during the traditional paper making course, which will spend big capital for its non-skilled clearing technology and harmful to social environment.. Only cooling water in the barrels is needed for stone paper production,no any environment pollution.So stone paper production is also a project with environment protection project. Stone paper project signed 12 stone paper (PE + calcium carbonate) uniaxial extrusion production line equipment contract to produce 1400 mm and 1000 mm width two specifications of stone paper, the production line with my Jwell company developed the latest MDO (longitudinal stretching) unit, to ensure product quality and yield, while the most significant reduction in energy consumption of equipment can improve energy ratio. 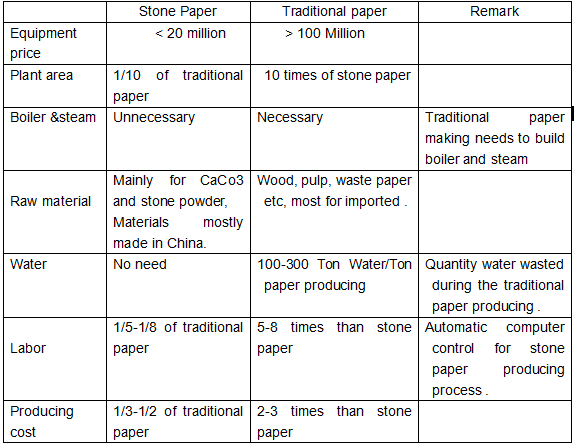 Compared with the traditional equipment and technology, energy consumption per ton of stone paper can save more than 11%, so that the impact of the traditional stone paper really have the ability to market plant fiber paper, stone paper making it possible to replace the traditional paper.